Create the most delicious meals with this classic 14 inch Seasoned Cast Iron Skillet. The comfort grip handle ensures easy lifting and additional control. Dual pour spouts are added for convenience. Seasoned with Camp Chef's True Seasoned Finish this skillet has a natural surface that is ready to use out of the box. From delicious grilled salmon to your favorite kabobs, grilled food always makes life a little better. This Professional Grill Box gives you the ability to grill your favorite foods to perfection, every time. 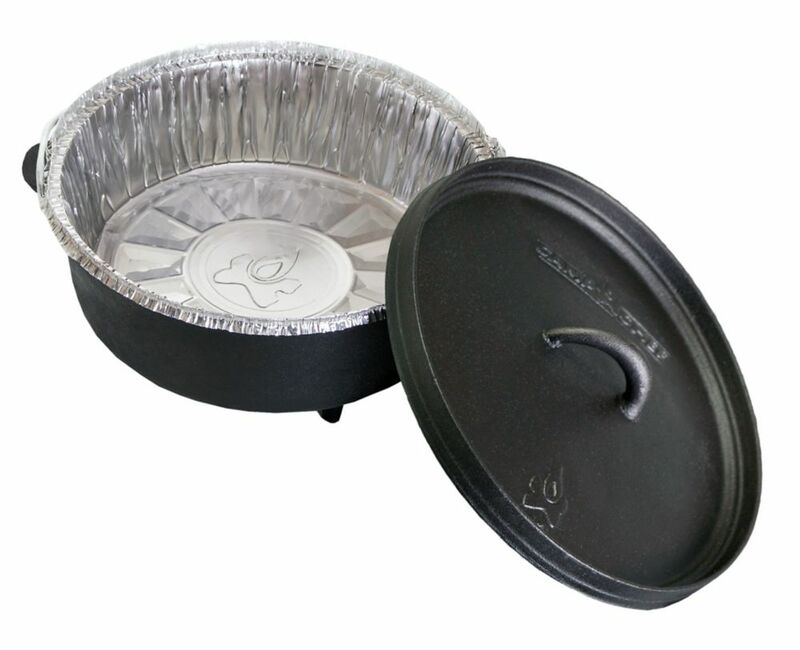 It has been designed with Camp Chef's patented heat diffuser system that minimizes hot spots and converts flames into infrared heat. This vaporizes grease drippings and infuses your food with the best, richest flavors. The preseasoned cast iron grilling surface holds and distributes heat evenly making your grilling experience even better.